Chapter Headings:Periodic Wave Pattern: the approach of differential calculus. Periodic Wave Pattern: the control volume approach. Wave Effects on Coasts. Wind Generated Waves: basic concepts. Analysis of the Sea States: the time domain. The Wave Climate. Design Waves and Risk Analysis. Analysis of the Sea States in the Space-Time. The Theory of Quasi-Determinism. Uses and Consequences of the Quasi-Determinism Theory. Analysis of the Wave Forces on Offshore Structures. Calculation of the Wave Forces on Offshore Structures. Stability Analysis of Coastal Structures. Topics Calling for an Overall Overview of Offshore and Coastal Engineering. 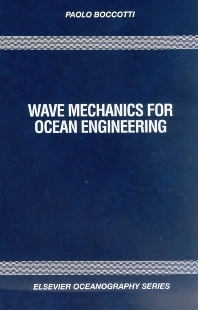 In a unitary way, this monograph deals with a wide range of subjects related to the mechanics of sea waves. The book highlights recent theoretical results on the dynamics of random wind-generated waves, on long-term wave statistics, and on beach planform evolution. A fresh approach is given to more traditional concepts. For example, new evidence from a recent series of small-scale field experiments is used to introduce some crucial topics like wave forces. Also, the book gives some worked examples for the design of offshore or coastal structures. An exciting subject dealt with in the book is the quasi-deterministic mechanics of three-dimensional wave groups in sea storms, and the loads exerted by these wave groups on offshore structures. The text is intended for researchers and graduate students in ocean engineering, but may also be understood by undergraduates. The more complex concepts are explained with examples or more extensive case studies. 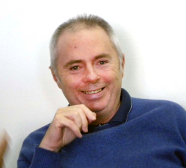 Paolo Boccotti is a Professor in the Department of Civil Engineering at the Mediterranean University of Reggio Calabria in Italy, where he has been since 1986. Highlights of his career include him founding the university's School of Marine Engineering and the NOEL laboratory for small-scale field experiments from scratch.